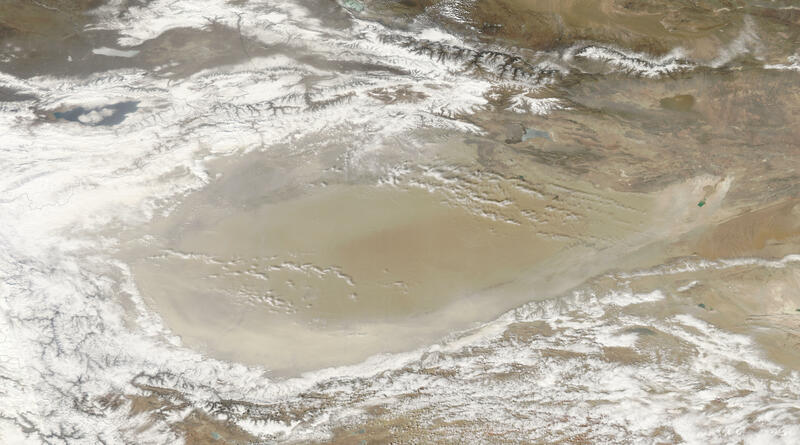 Dust stirred along the margins of China’s Taklimakan Desert in late March 2012. 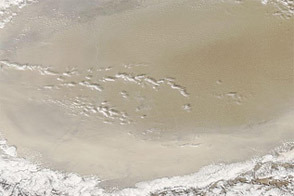 The Moderate Resolution Imaging Spectroradiometer (MODIS) on NASA’s Aqua satellite captured this natural-color image on March 22. 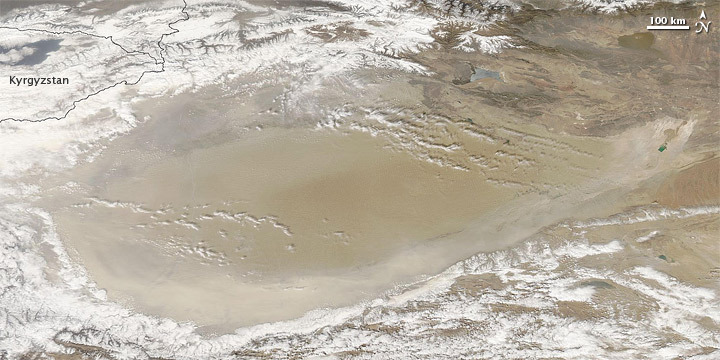 The Taklimakan Desert fills the Tarim Basin in far western China, in between mountain ranges to the north and south. 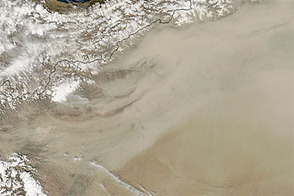 In late March, dust was thickest along the Tarim Basin’s southern rim. Clouds hugged the northern and southern margins of the basin, and snow and ice capped the peaks on nearby mountain ranges. The Taklimakan Desert is the largest, warmest, and driest desert in China, isolated from the effects of the Asian monsoon and Arctic storms. Marching sand dunes, some reaching a height of 200 meters, fill 85 percent of the desert floor. 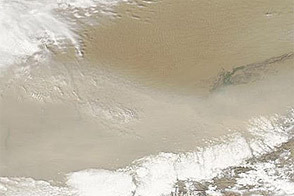 The abundant sand provides material for frequent dust storms, some of which are intense. The dunes are virtually devoid of vegetation, but plants do live in the Tarim Basin, and they experience distinct seasonal variations. 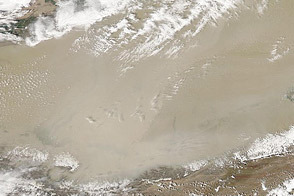 Acquired March 22, 2012, this natural-color image shows a dust storm in China’s Taklimakan Desert. 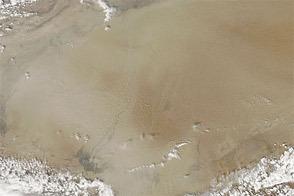 Dust stirred along the margins of China’s Taklimakan Desert in late March and early April 2012. World Wildlife Fund, McGinley, M. (2007) Taklimakan Desert. Encyclopedia of Earth. Accessed March 27, 2012.